We work with thousands of people in Tower Hamlets and across London, and have run hundreds of projects in over 20 years of existence. Find below details of a few of our past projects. Click here to find out about our current projects and founding project. 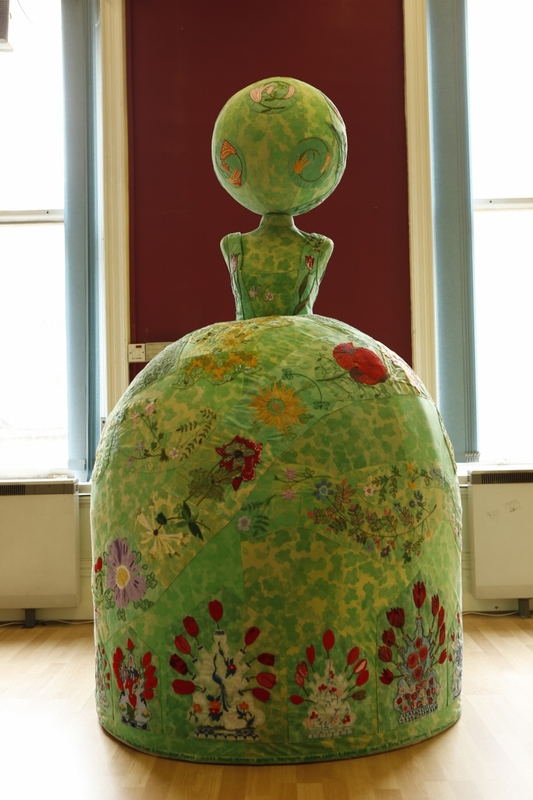 In the Topiary figure project led by artist Tajender Sagoo we worked with several other women's groups on the botanical embroideries on a screen printed topiary themed textile base. We then watched intrigued as our flat embroideries were assembled into a striking three dimensional piece which was displayed at Kensington Palace. Dainty Dish project created a banqueting table installation for the vaults at the Tower of London. The tablecloth was printed and embroidered with reminiscences fashioned into recipes by a professional storyteller and topped with 3D embroidered oysters, prawns and other fine foods. A representative of the group was introduced to the Queen at the opening of the Tower Vaults. 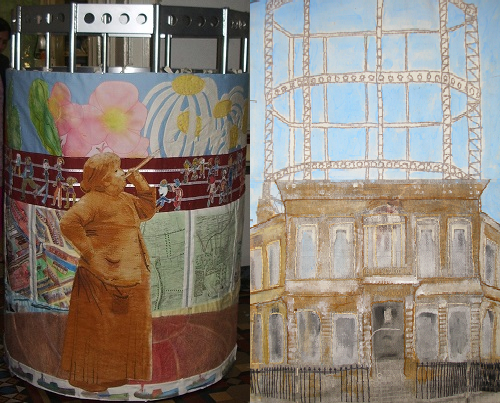 Harford Street gas tower was the inspiration for this textile installation for Harford Street Medical Centre. There are fine examples of the group's embroidery skills with subject matter reflecting the history of gas in the area from the showrooms displaying the latest models to portraits of the gas workers themselves. It's a great feeling to have your work displayed in a public building. 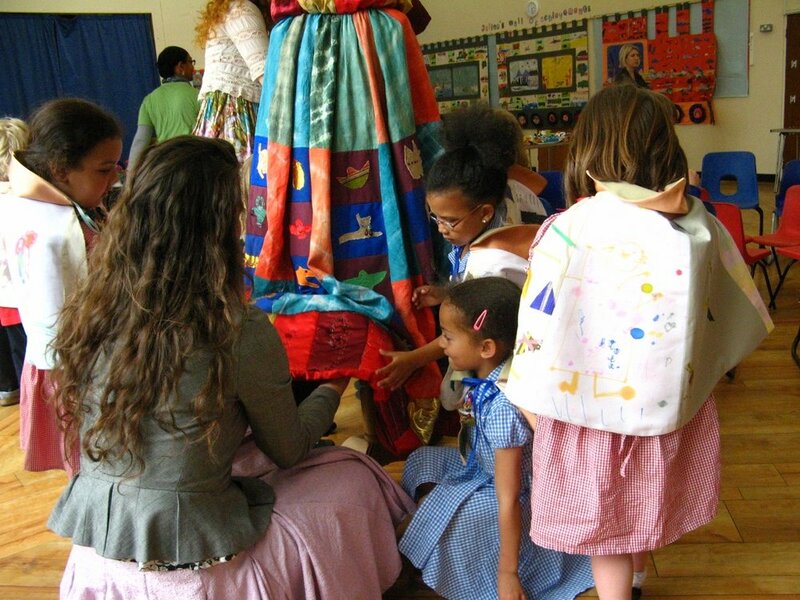 This cross-curriculum project involved delivering tailored creative classes and outcomes to each year of Julian's primary school. From Reception to Year 6, each class's collective outcomes were tailored to creatively explore a theme of their current learning. 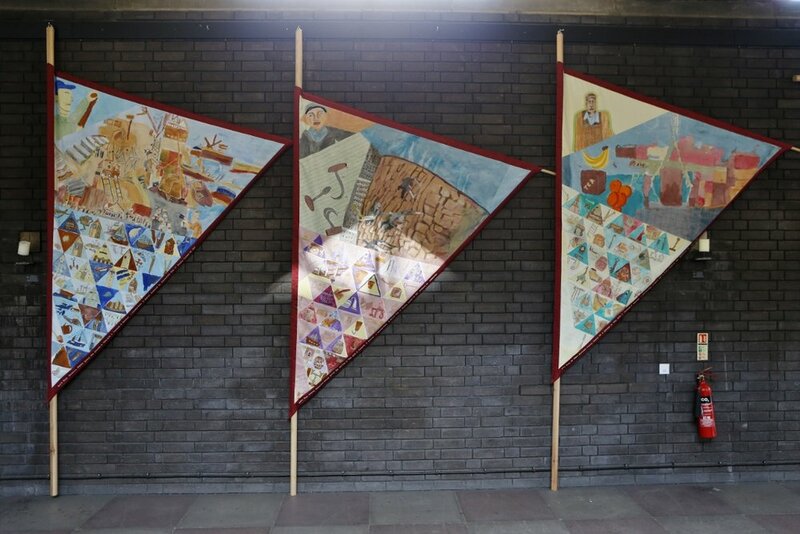 From silk painting scenes of Roman life, researched on a trip the British Museum, and making them into Roman helmets, to looking at graphic design and redesigning the school logo, the project ended in a whole school exhibition and celebration, sharing work with each other and parents. Our Elders Embroidery group created an embroidered phonemic chart to use in English lessons with the English for Sewing class. Participants chose something to illustrate each symbol on the chart: dipthongs, consonants and vowels. 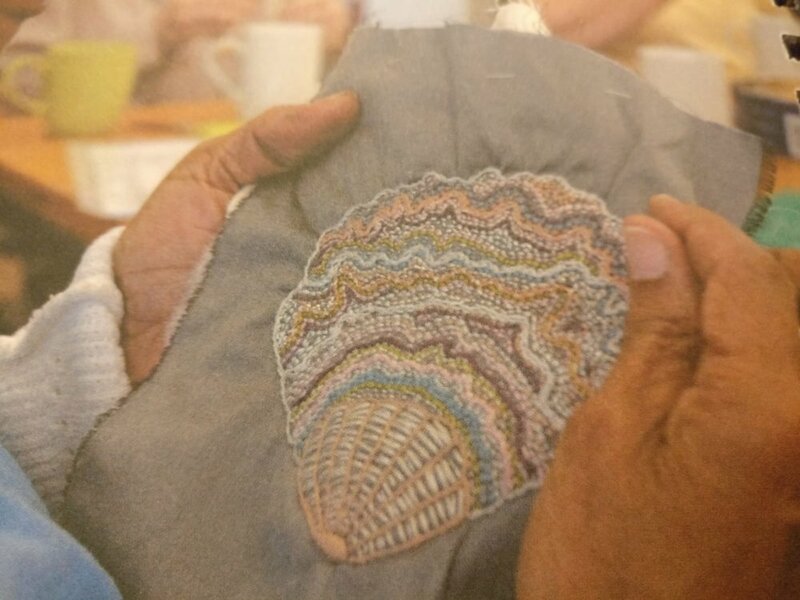 It's a useful resource linking the two groups, the embroideries were fun to do and are much admired.